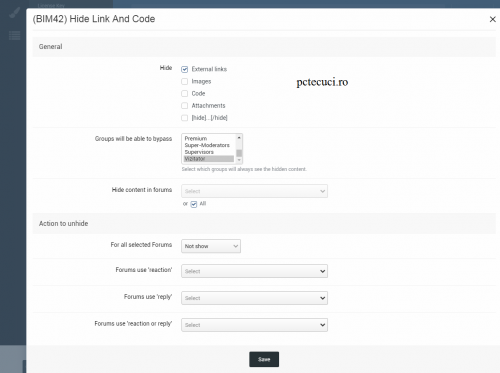 This plugin will hide links, code, images in forum posts automatically. Members can use REACTIONS or REPLY to see the hidden content. - Option to specify groups can bypass the hidden content. - REACTIONS or Reply to see the hidden content. Compatible with IPS 4.2.x (Don't upgrade if you still use IPS 4.1.x) Supports reactions. 2 display modes: Grid view & List view. Categories/subcategories. Custom fields for video's informations. Protected custom fields that only display for logged members, or who liked the video. 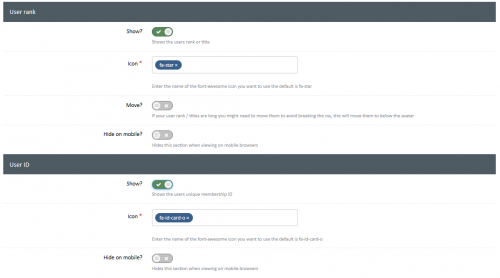 Search videos by custom fields. Video Collections: create/edit/remove the collections for your videos. Widgets: top poster, top videos, random videos, featured videos in slider, collections in carousel, quick search by custom fields,... Pages system: easy to add new page with custom content. Uploading or using external video url (supports: mp4, m4v, webm, flv, rmtp, youtube, vimeo, dailymotion). Using VideoJS Framework to play video formats: mp4, m4v, webm, flv. Full support for VTT captions. Watermark on video player. Media Tags system to define your custom player embedded from any video services (YouTube, Vimeo, Dailymotion...). Live Streams for Twitch.tv, Mixer.com and Smashcast.tv. Friendly URL. Comment system. Rating system. Following system. Clubs (IPS 4.2.x) *New* Reactions (IPS 4.2.x) *New* Tags. Latest Videos RSS feed. Pages system: easy to add new page with custom content. 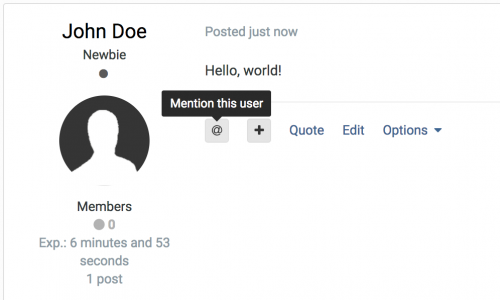 This plugin adds a new button to every post which allows you easily mention users by putting their names into the reply text area. 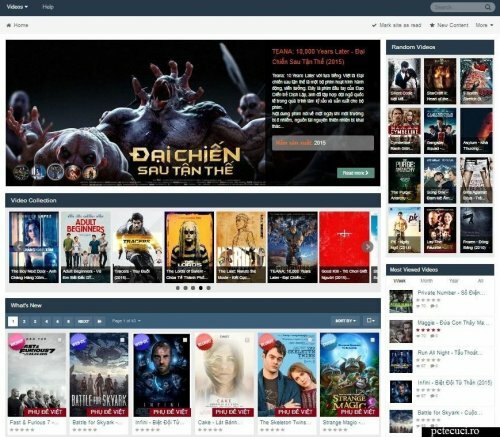 Supports forum topics and comments (e.g. Blogs, Gallery). If you like what you see please give me that like! 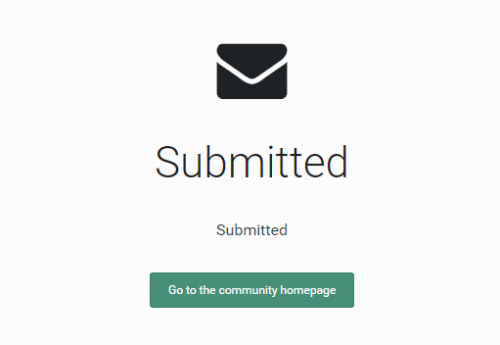 Application Forms opens up a world of possibility for you and your community by designing, curating, and managing custom application forms. Application forms can be designed from scratch with an infinite number of custom field types in over 20 different types, enabling you to fill any need you or your community might have. Let your community submit their application for your position, proposal, project, or idea! Do you want to harness the power of your community for brainstorming ideas? Do you want to run contests where everyone must follow the same guidelines? Are you looking for way to interview new clanmates or members? Do you require a background check on new staff members? Do you want to receive new proposals that follow a structured template? If you need a way to ultimately manage user input in a methodical and orderly manner, then Application Forms is the best way to do it. Instead of wasting your time with forum posts where users may or may not follow your posting guidelines, require and draft a custom submission where users must follow your specifications. Application Forms lets you design an unlimited number of application forms with an unlimited number of fields. First define an application with advanced settings to describe the application and integrate into the rest of the suite. Then add new custom fields with the click of a button, drag-and-drop to rearrange, require certain fields, and define extra settings such as allowing multiple values on certain field types. Enhance your user info panel with this powerful fully customizable plugin for the forum topic posts, You do not need to show all the information you can choose to show or hide any one of them or just choose to hide them on mobile viewing, you can now even choose what user groups can see what information.